Extreme challenges, treatments and experiences are redefining human limits and giving us new ways to take control of our health and wellness – and opening up a wealth of “super” powers to everyday, ordinary humans. The power to become the best we can be has never been more attainable. From body and brain hacks to personalized healthcare, the pursuit of wellness has never been more extreme. And the 2017 Global Wellness Summit featured a wealth of experts and ‘explorers’ on the cutting-edge of the ways humans are re-wiring themselves to achieve the once impossible. Delegates heard how pushing a body to the extreme can result in a myriad of wellness benefits – both physical and mental and that biohacking (building a better you through biology) will become extremely personal, while ‘brain optimization’ will mean much more than thinking ‘better, faster, smarter’ as “consciousness hackers” use technology to reach a deeper spiritual state. Today, with a bit of grit (taking experiences to the extreme can border on scary, painful and downright uncomfortable) and extra cash (this is not necessarily “affordable” wellness), you can “build” a better you. Whether it’s training like an elite athlete, changing the way our bodies handle extreme temperatures, rejecting disease by reconfiguring minds or hacking the body’s basic make-up through genetics that deliver precision medical healthcare – the idea is that everything is possible. 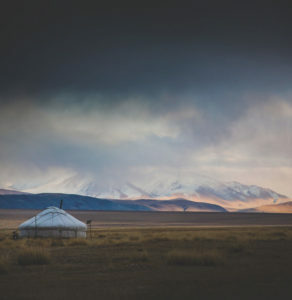 Black Tomato, a UK-based luxury travel company, takes travelers out of their comfort zones with “Get Lost” vacations to destinations like Mongolia and Guyana (pictured). Our always-on digital life is full of “stuff” – from the constant screens in our faces to creature comforts delivered at the touch of a button. We don’t ever have to leave our sofas because everything simply “comes to us.” Non-stop access combined with a growing (unstoppable) awareness of the toxins in our air, food, offices and homes, and a world that is full of bad news, has birthed a new wellness warrior who wants to take both their bodies and minds to unexpectedly extreme places. These extreme “mastery experiences” – a phrase coined by psychologist Albert Bandura – is one of the key pillars of his theory of “self-efficacy”: The belief in your ability to influence and control the events you experience plays a central role in how you can perform in day-to-day life. You come away feeling empowered in the extreme. For many wellness seekers, it’s no longer “cool” to simply kick back on the beach or by the pool having treatments or even take a simple experiential, transformative yoga retreat. Instead, they are looking for one-of-a-kind excursions and “survivor-style” challenges. Whether it’s hiking eight hours on a glacier to end up in a small hut, rafting down the Amazon or finding their own way out of the rain forest, many are spending their downtime doing things that would scare the living daylights out of most. Disconnection is the key – there is no smartphone for Google Maps or a “quick” peek at work emails – only complete engagement in what they’re doing. Mongolia, a “Get Lost” vacation destination with Black Tomato. 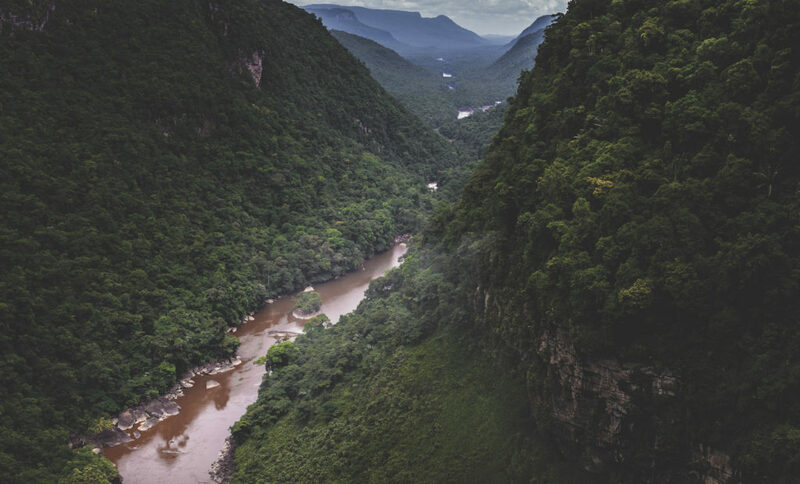 The Extraordinary Adventure Club, founded by former Royal Marine and logistics specialist Calum Morrison, which creates “surprise” itineraries that include coaching, mentoring and therapy over a minimum of six months…promising a complete transformation. For example, in 2018, a very select number of guests paying $100,000+ each will join researchers from OceanGate as members of the crew voyaging to the Titanic shipwreck: the ultimate in exclusivity as fewer people have seen the wreck than have been into space or climbed Mt. Everest. A more affordable option comes from Docastaway, a Spanish company that has let travelers recreate the complete isolation of Tom Hanks’ character in Castaway, but without the nasty plane crash, since 2010. The company maroons you on desert islands all over the globe at just about any budget (as little as 80 euros a night) to survive with next to nothing while rubbing shoulders with the island’s locals. For more on the many shapes transformative travel will take in 2018, see the “A New Era of Transformative Wellness Travel” trend. Similar mastery can be found in fitness regimes that take a page right from an elite athlete’s training manual. For example, BodyHoliday in St. Lucia runs WellFit retreats featuring different Olympians – swimmers, rowers, sprinters – and even an NFL champion. But training like a champion isn’t just for holiday, people are taking sports to the extreme every day – running their bodies hard, training for marathons, Ironmans, Tour de France cycling-length cycling trips. Fitness clubs like Equinox offer Athletic Training programs that promise elite conditioning while gyms across the globe sell memberships based on their world class coaching techniques and elite training methods. The appeal is straightforward: Doing things that seem impossible make people feel alive and connected. While more and more people embrace extreme ice as a way to recover from injuries, reduce inflammation and even strengthen the immune system. Cryotherapy (controlled exposure to extreme cold temperatures) is becoming mainstream in the U.S. and the UK with spas and specialized clinics offering exposure to subzero temperatures via walk-in cold chambers. Though there’s no hard evidence on the efficacy of ice-cold treatments, many believe (and some limited studies show proof of this) that whole body cryotherapy helps control inflammation and aid in muscle recovery (however, there is also the suggestion that the relief felt from submerging in ice-cold temperatures is actually a ‘placebo’). There’s no argument though that, despite the pain, exposing our bodies to extreme cold can make us feel completely alive. Full-body cryotherapy is on the rise. Arguably, there’s no one who has embraced the power of extreme freezing as wholeheartedly as the inspirational author and athlete Wim Hof (who spoke at this year’s Global Wellness Summit and also led a packed room through breathing exercises – his breathing is what really enables him to withstand cold temperatures – attendees came away saying it was a “life altering” experience). Hof personifies “mind over matter,” showing how we can literally learn to control our bodies, including our immune system and the automatic nervous system. His remarkable achievements include a world record for the longest ice bath (nearly two hours) and climbing Mt. Everest barefoot and shirtless. Medical researchers have measured the effects of his mind control techniques and, today, the Wim Hof Method has a large number of followers/devotees all around the world. 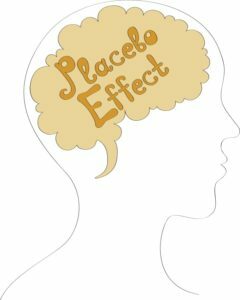 You are what you think: The placebo effect could be our most powerful path to health and wellness. Rapidly advancing technology (including wearables and ingestibles that track just about anything), combined with precision DNA testing (the familiar DNA ancestry tests are just the tip of the iceberg) and the clear willingness of consumers to participate in genetic testing when they believe it will positively impact their health have coalesced to create a perfect storm for advanced personalized wellness. And, now, this large amount of data can be crunched through the super power of artificial intelligence (AI) – all of which is ultimately enabling the creation of hyper-personalized health roadmaps. Ali Mostashari, PhD., CEO of LifeNome, makers of DNA-based wellness assessment tests says demand for personalized DNA testing is skyrocketing. In fact, 150 delegates at the 2017 Global Wellness Summit had the opportunity to take LifeNome’s test prior to the event, allowing them to actively participate in discussions with Mostashari around the possibilities of DNA testing. The appetite for personalized wellness roadmaps is certainly there: Among respondents to a recent survey conducted by LifeNome, in conjunction with Columbia University, over 70% of respondents said they would choose a brand of supplements personalized for their DNA over a brand that doesn’t offer personalization. Mostashari gives clear examples of how each individual has extremely personalized nutritional, diet and fitness needs. In one, he showed a standard (generic, ‘one size fits all’) nutrition facts panel of a protein shake and showed how those facts completely alter when personalized nutritional wellness assessments come into play. In the real-world example, it’s clear just how personalized “daily values” really are – and illustrates a huge opportunity for personalized nutrition and diets. There’s even more reason to cheer – personalized DNA-based diets have already been shown to increase weight loss effectiveness by 33% and to encourage compliance by 30% – a huge boon for the wellness industry. There is no “one size ts all” nutrition fact panel. As shown here, the generic panel on the left doesn’t tell the whole story as the facts change based on individual needs. Pelletier says that unless a health/wellness recommendation is based specifically on your personal genetic make up, there is absolutely no reason to believe it will work for you. No diet is one size fits all – and the same goes for the effectiveness of stress management techniques to susceptibility to environmental toxins (i.e., we all react differently to different toxins). In short, our health is affected in extremely individual and personalized ways and upcoming tests will make precision medicine and wellness possible – letting us identify everything from what drugs/dosages a person should take to what the best diet is for them. And there is more to come. One example is a three-part test that will up the ante on personalized wellness in 2018. Wellness FX, in collaboration with Mayo Clinic, will introduce the mighty triumvirate in personalized healthcare. The test combines: 1.) Genetic testing; 2.) Comprehensive blood, body and biomarker diagnostics testing; and 3.) An intestinal microbiome test (pinpointing what your body can actually absorb/benefit from, whether specific drugs or foods). The tests promises to give a 365-degree personal health profile and help us better understand and identify associations between genetic variations present in our DNA and our body’s predisposition to disease, nutrition, dieting, fitness, skin care, allergies, etc. Of course, destination and travel retreats are the natural winners when it comes to personalized, wellness testing. By nature, this is extremely personal and private – as it can determine, among other things, susceptibility to disease, something most individuals would like to keep within the confines of luxury wellness centers. Expect wellness destinations to create customized, individual programs through combining personal biomarker screenings for assessing body composition, stress, and prevention, with a fitness tests for optimizing performance and reducing the risk of injury while improving fitness levels. The entire stay could then focus on the guest’s ideal experience – whether it’s losing weight and getting fit or a developing a program focused on sleep and resilience. Studies show that personalized testing gets results, helping people take – and keep – weight o . Image source: GWS Presentation by Ali Mostashari, PhD., CEO of LifeNome, October 2017. The “designer brain” has arrived. The technology and know-how to enable us to re-wire the way our brains to perform better – whether it’s cognitive improvement (thinking better, faster, smarter) or mental wellness and a greater sense of happiness – there’s a brain hack you can try. Brain health is already big business – the market for brain supplements is estimated to be worth $11.6 billion by 2024 – up from $2.3 billion in 2015. Memory enhancement is a key driver in this, but people are also looking for better mental attention/focus, sleep recovery and even dream enhancement. As nootropics (or smart drugs) make their way into the mainstream, expect them to also make their way into spas and the world of wellness. Natural nootropics of which there are many (including everyone’s favorite – caffeine) are already making their way into our diets and food. And into our luxury wellness experiences – a biohack café stocked with nootropics could be coming to a Six Senses destination near you! Brain hacks that rewire our brains to perform better – or simply be more content – are on the rise. There’s a state of mind that you may have heard an athlete, yogi or artist try to explain – the “zone.” It’s when someone is so tapped into what they are accomplishing that they enter mind-altering “flow state.” The Hungarian psychologist Mihaly Csikszentmihalyi was one of the first to identify it, writing a book in 1990 called “Flow: The Psychology of Optimal Experience.” In it, he describes “flow” as being in inner harmony with whatever you’re doing/achieving – a true state of mindfulness and one that could prove very useful in banishing the barrage of today’s often irrelevant, intrusive information from our psyches. 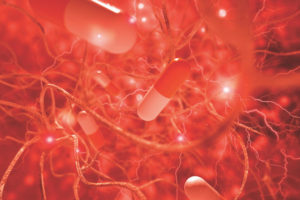 This is a state of mind that the founders of the Flow Genome Project are promising to deliver with the help of neuroscience – and the huge advances that have been made in sporting equipment that enable everyday, average humans achieve superhuman states without the fear of injury or death (think wind tunnels for skydiving or fatter skis for powder skiing). Participants in Flow Genome are helped to get “in the zone” much more quickly by learning how to tap into the six neurotransmitters responsible for the “flow state”: Dopamine, serotonin, oxytocin, norepinephrine, anandamide and endorphins. The promise is “heightened creativity, increased performance, and accelerated problem solving” all by training the body and the brain to reach flow state. In addition to books and online courses, there are Flow Dojo Camps in the U.S. Expect to see more extreme sporting options at spa and wellness destinations near you. In 2018, the “hacking” simply promises to get even more extreme – and more mainstream. Whether it’s training our minds to perform better / feel better, pushing our athleticism to the limit or altering our bodies through personalized DNA, genetic and even microbiome hacks – we really can use technology and determination to rebuild ourselves to be better, faster, stronger. WellFit is delivered by a range of world- class group fitness presenters, professional conditioning coaches and guest athletes, including Olympians and NFL players. Photo credit: BodyHoliday. Copyright © 2017-2018 by Global Wellness Summit. If you cite ideas and information in this report please credit “2018 Wellness Trends, from Global Wellness Summit”. For more information, email beth.mcgroarty@www.globalwellnesssummit.com.